Get a FREE T-Shirt (use FREETSHIRT coupon) or Halo Headband (use FREEHEADBAND coupon) with the purchase of any 2 racquets! 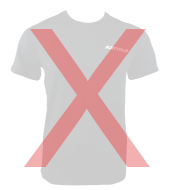 To qualify, please add 2 racquets to the shopping cart, enter coupon and free product will be included with your order. Racquets come pre-strung at 27-28 lb. The tension cannot be adjusted for factory strings. Get a spare Grommet & Bumper guard set for your racquet and save! Take advantage of our promotional offer! 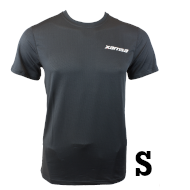 $15 for High Quality Dry-Fit Grey Mesh T-Shirt with the purchase of a racquet. Xamsa t-shirts fit tight. If you prefer a loose fit, get one size bigger. Some players prefer bridged rackets while others rather a teardrop shape. It's a matter of personal preference. There are many arguments defending both types of rackets. 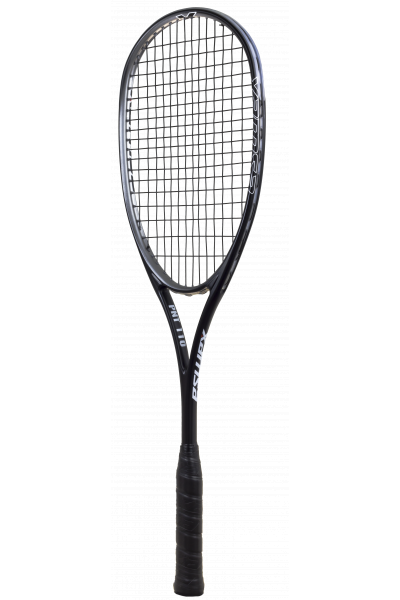 Typically though, lightweight teardrop rackets are considered best suited for an attacking style of play while bridged rackets are more popular among players seeking increased control or finesse. Strings: Xamsa PM 18, 18 gauge. Xamsa PM 18 is constructed using a thousand multifilaments as a center core then wrapped in braided fibers. The rough surface and resistance gives good control of the ball, and the elastic coating provides extra power. Because of our tendency towards lightweight racquets, we made the frames quite stiff using high quality carbon fiber for added durability. We tried to achieve a perfect blend of power and agility with no traces of vibration. 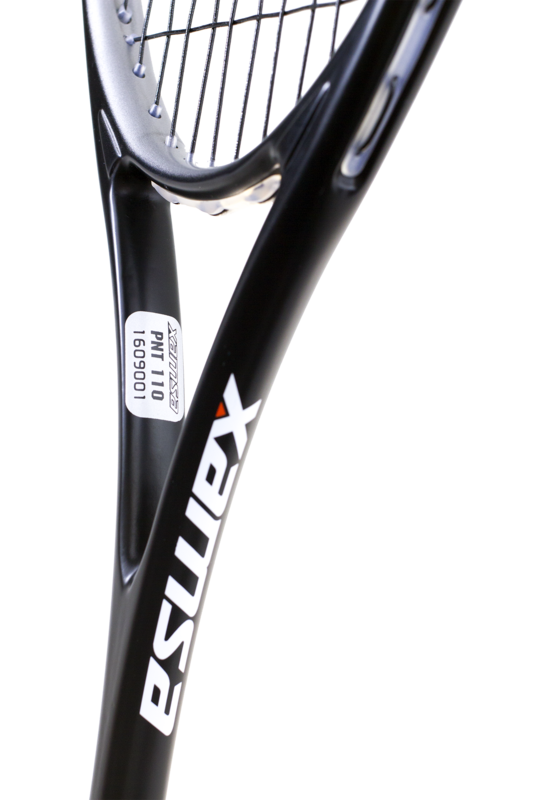 With a net frame weight of only 110 grams, the power and control will surprise most players. The CNT135 is really well balanced, I enjoy its playability as well as its power. There is no vibration which is a big plus. The grip is perfect. 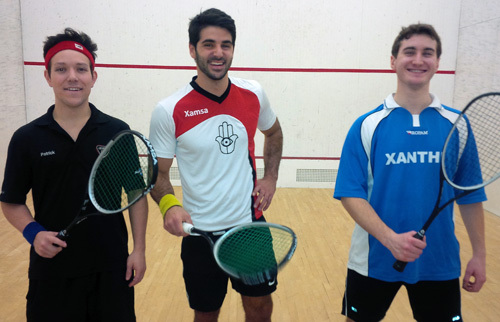 With Xamsa philosophy to encourage squash players of all levels, the racquet is extremely affordable and a must own! I've been known to take squash "too seriously". I would never sacrifice even 1% of racket quality, even if you paid me. I'm also not a big fan of change, and had been playing with the same top brand racket for 10 years. So I was a bit reluctant to try out Xamsa, especially given its low price, which I assumed meant it must be lower quality. But I decided to have a hit with it (CNT 135), just out of curiosity. At first it felt ok, but it wasn't identical to my previous racket, so it felt a bit off. But after about an hour of solo drill I really started to like it. I decided to try it out in a match. Long story short, it felt great and I've been a loyal Xamsa user for a month now. Strongly recommend. I am pleased to have such an amazing weapon in my bag. 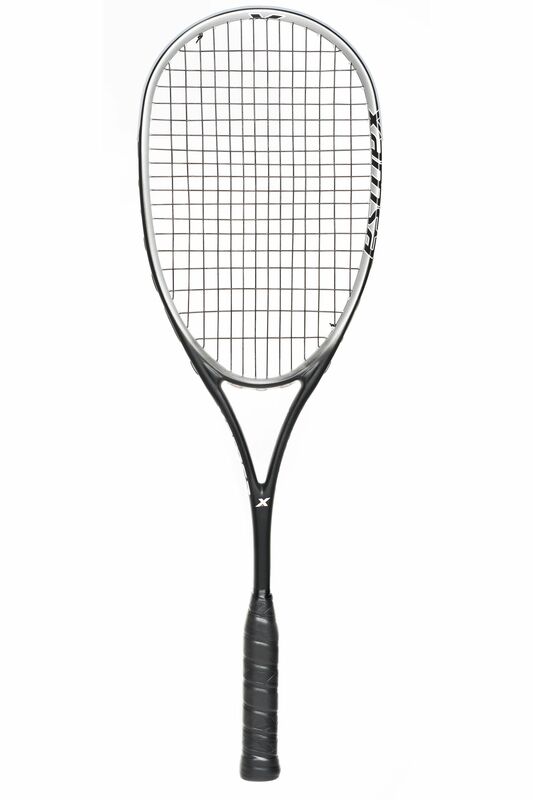 The CNT 135 updated version is the racquet of choice for me. Great power, control, and touch. I am proud to support a local brand. I’ve been playing with the Xamsa CNT 135 for about two weeks. I’ve already won a tournament with it!! I really like the feel of the racquet. I have small hands and the grip is smaller than what I use to play with (Black Knight). I have great control and have very accurate shots. 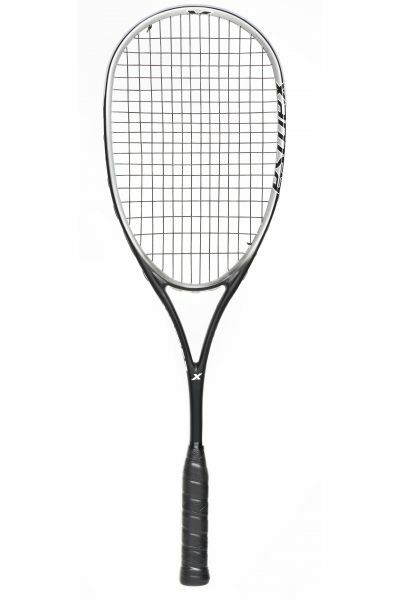 I would recommend this racquet for anybody who wants to have greater control with his shots. There’s also the price. 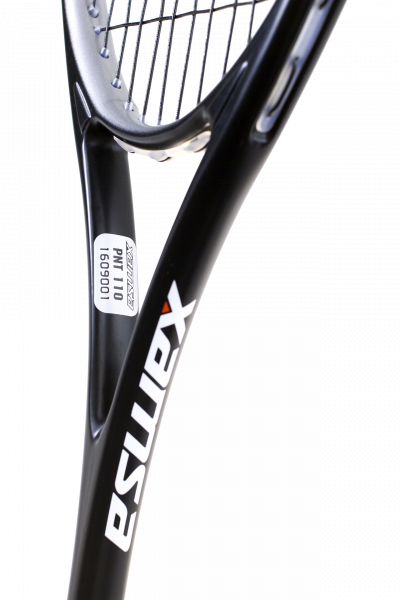 You have a high end racquet for the fraction of the price (100 CAD). Overall I am very satisfied and will continue to choose Xamsa as my weapon of choice. Watch out! Even though I've played with several other brands of rackets at a competitive level, the satisfaction that I get when playing with my Xamsa CNT 135 is unparalleled. My shots are more precise, especially along the side walls, due to the racket's stability, which is enhanced by a large frame and the fact that no vibration is felt when stroking the ball. Another important feature is the frame's stiffness, which allows me to hit the ball in proximity to the wall with greater confidence and ease. Not to forget that I can deliver shots that are surprisingly powerfull, yet very swift and compact. 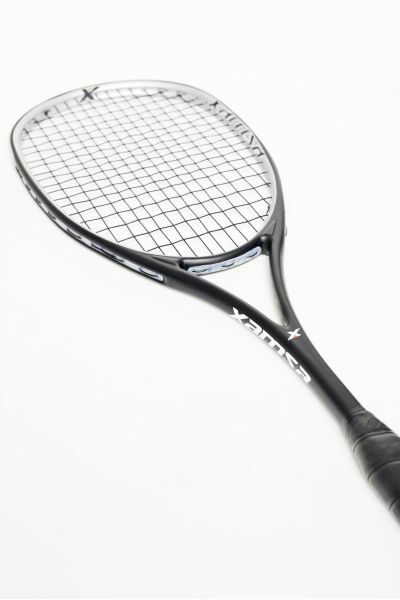 To put it simply, the Xamsa racquet works wonders for me giving that it allows me to have greater power and control on the court thus improving my game. But don't take my word for it, you've got to try it yourself! 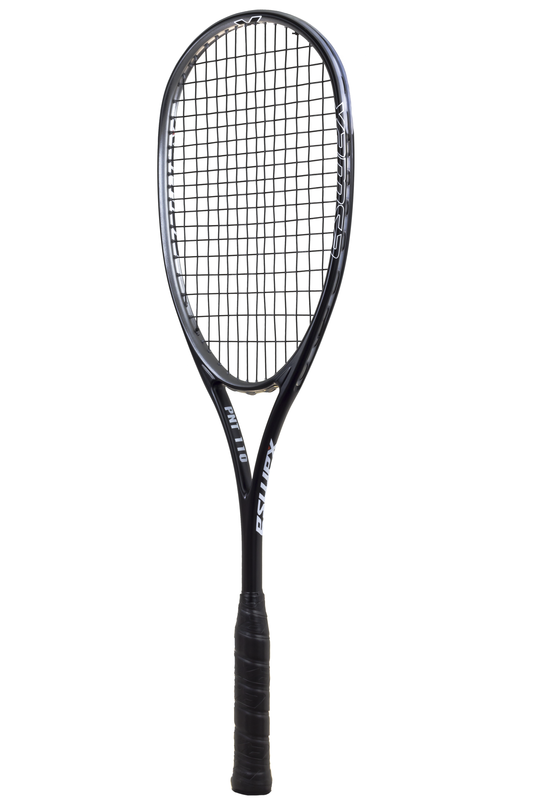 I've been playing with the Xamsa CNT 135 for 4 weeks, and I'm extremely pleased with the racket, as well as my game. The way I could best describe the racket is that that it just "feels right". It's light, compact, has a great feel to it with the perfect amount of power needed for my game. My control of the ball has tremendously improved since I switched to Xamsa, partially due to the large size of the frame, as well as due to the fact that I feel that some of the weight is slightly more dispersed towards the head, making for great control of the ball. Maybe this is because I put a bumper protection tape which might have added a few grams. I highly recommend it to any squash player. 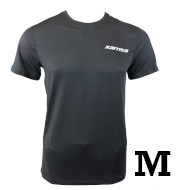 Choose any two of the models you are interested in trying. A $100 deposit will be charged on your credit card.